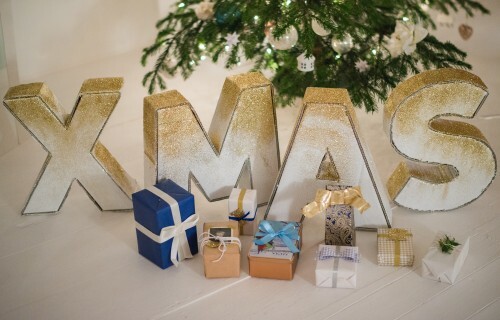 With loving attention to detail, Dekotopia convinced us with her self-made Christmas calendar. 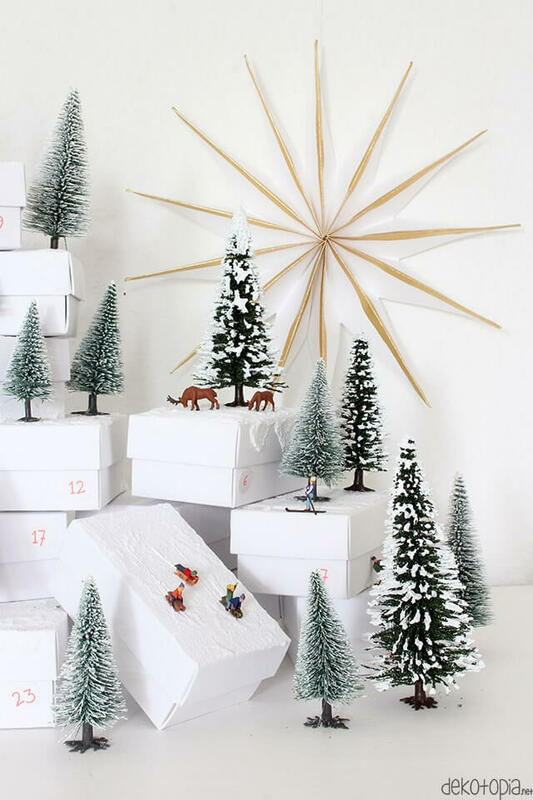 Lisa, the blogger behind it, created a small winter wonderland with cardboard boxes in different sizes as well as miniature fir trees and figures. Click here for the blogpost. Instead of many small gifts, this calendar by Lebenslustiger is filled with plenty of inspiration for you, more specifically the power of 25 inspiration items. For this is the number of cards with phrases that make you pause, reflect and smile, all available for you to download. Click here for calendar. 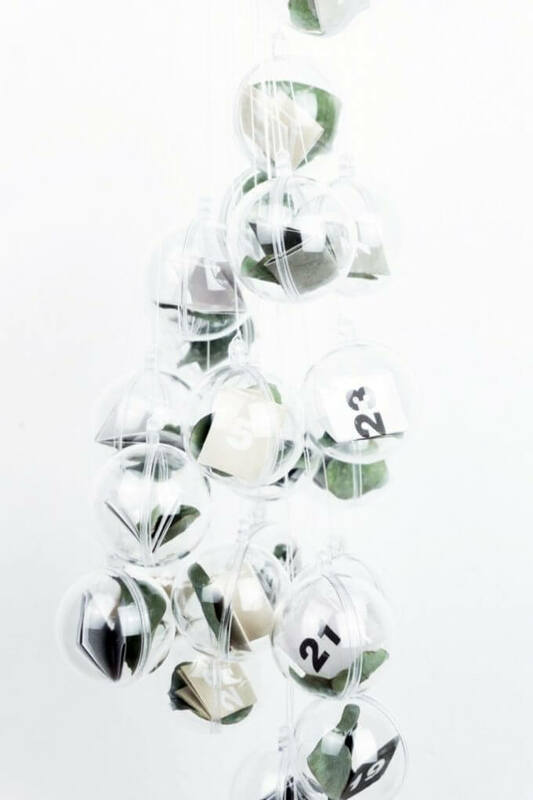 Luisa from the blog schereleimpapier counts on a restrained design with her DIY Christmas calendar: cristal acrylic balls, combined with black / white and eucalyptus. You can find all the instructions here. We also have an idea for tea lovers: the illustrator Alice Williamson created for sisterMAG no. 21 small tea cups, which can accommodate 24 small gifts with matching background. 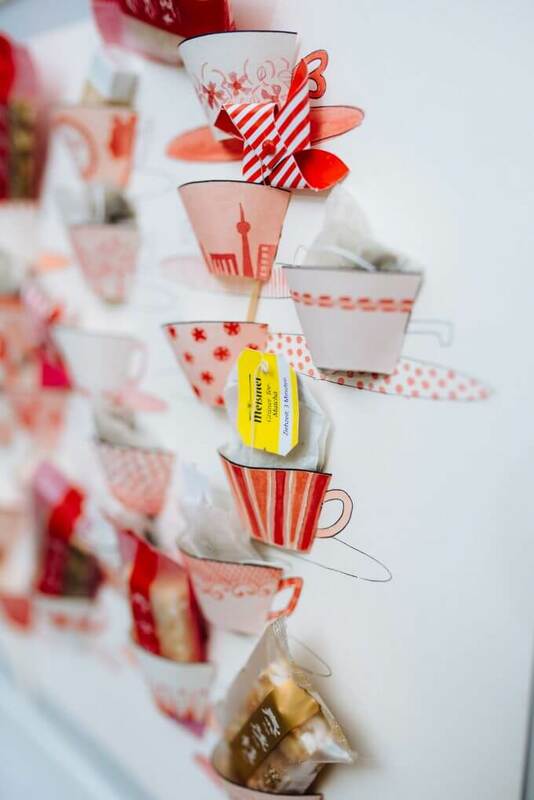 Click here for the Tea Cup Christmas Calendar. 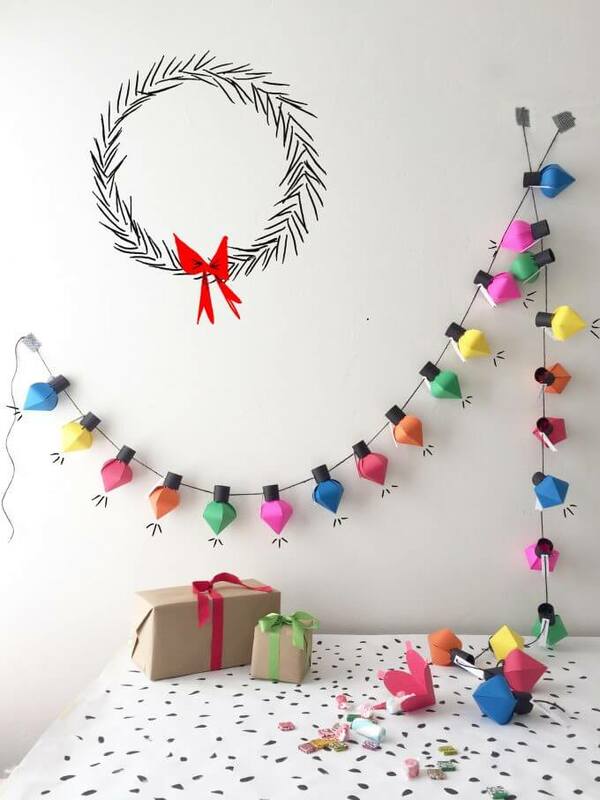 The heart of Vera from the blog Paulsvera beats for DIY projects, also tangible in her DIY Scandi Christmas calendar: 24 small self-sewn cloth bags hanging on a wooden ball chain are only waiting to be filled. Find here more instructions. You can’t break the summer spell? 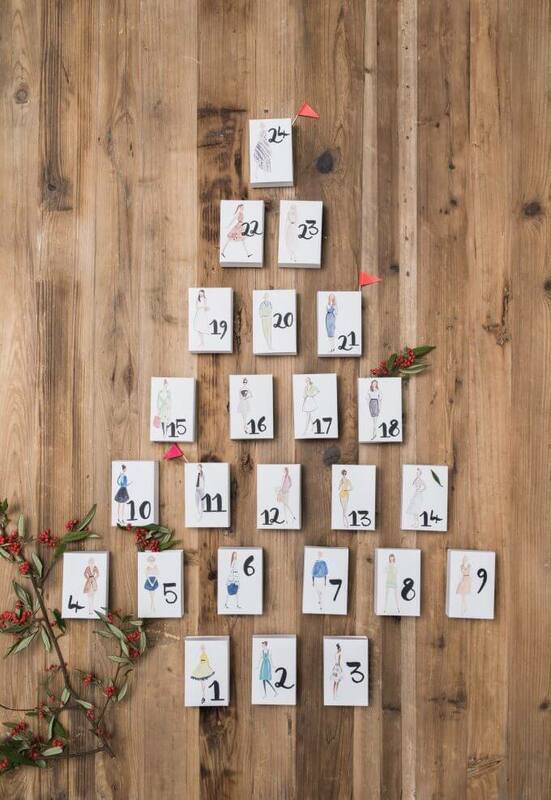 Then this Christmas calendar by Mette from the blog Monstercircus is just for you. 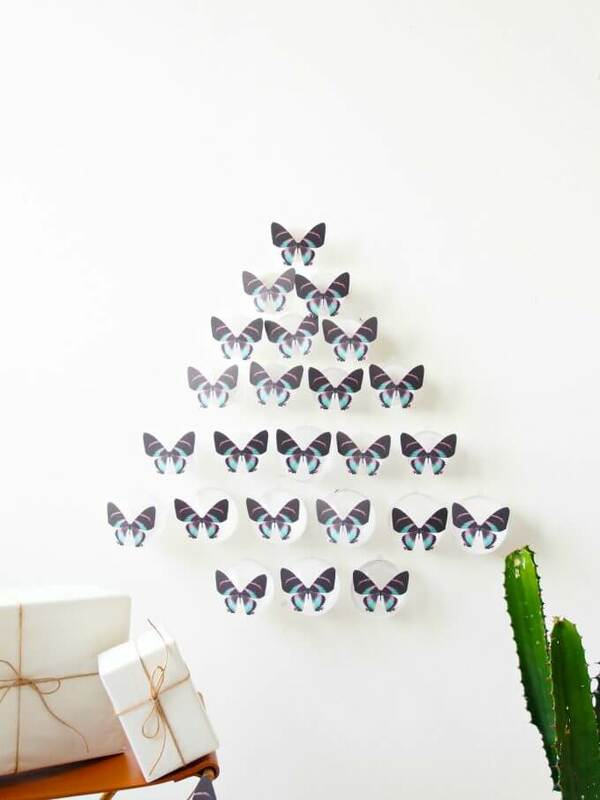 Little presents are hidden in transparent acrilic balls behind 24 butterflies for the pre-Christmas season. 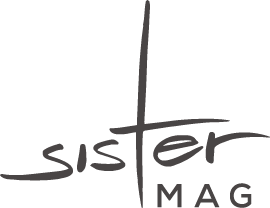 Find here a material list and instructions. On the blog Fräulein K. Sagt Ja various festive occasions are celebrated. 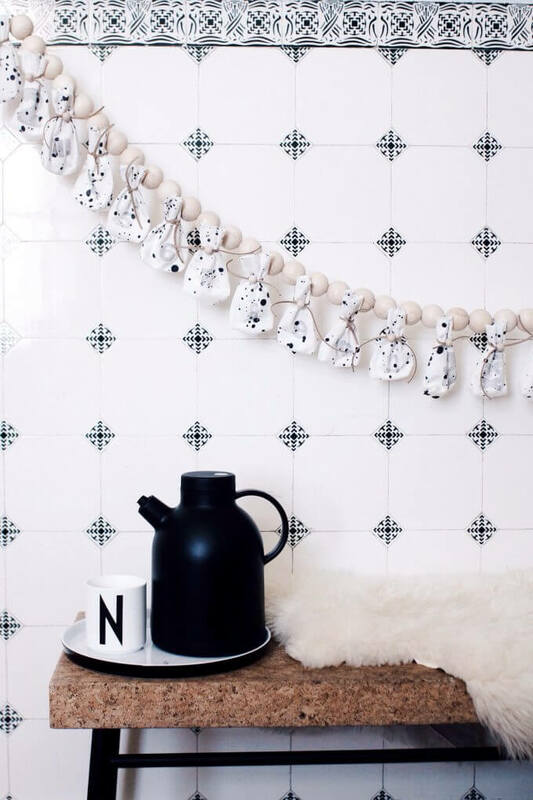 Creative DIY ideas are therefore an integral part of Katja’s blog. 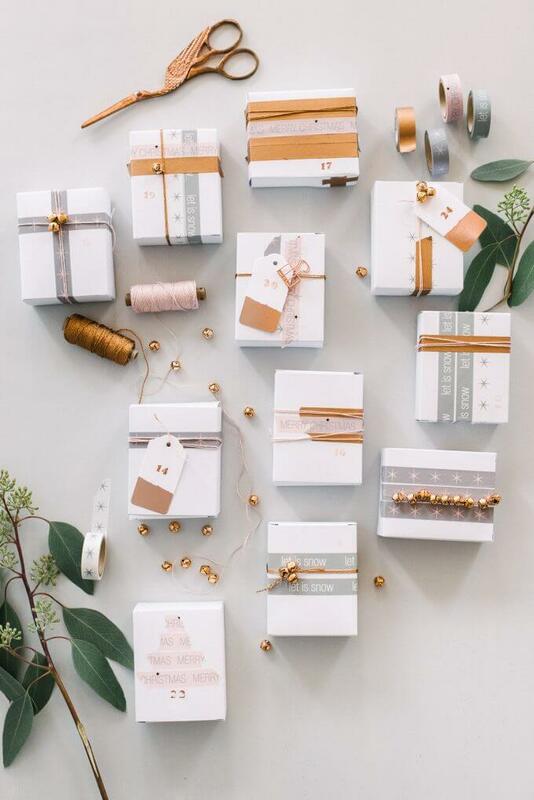 With simple means (for example masking tape, baker’s yarn, and bells) a feminine Christmas calendar in rose gold is put together. It gets colourful thanks to Brittany from the blog House That Lars Built. 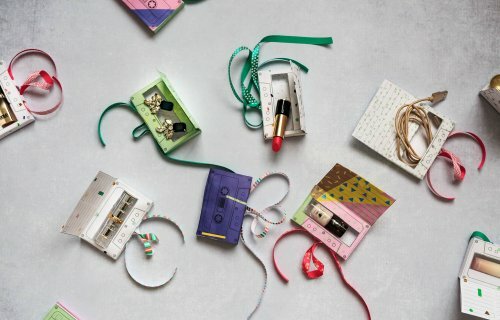 With this self-folded string of lights, which can be filled individually, the classic Christmas lights are reinterpreted. 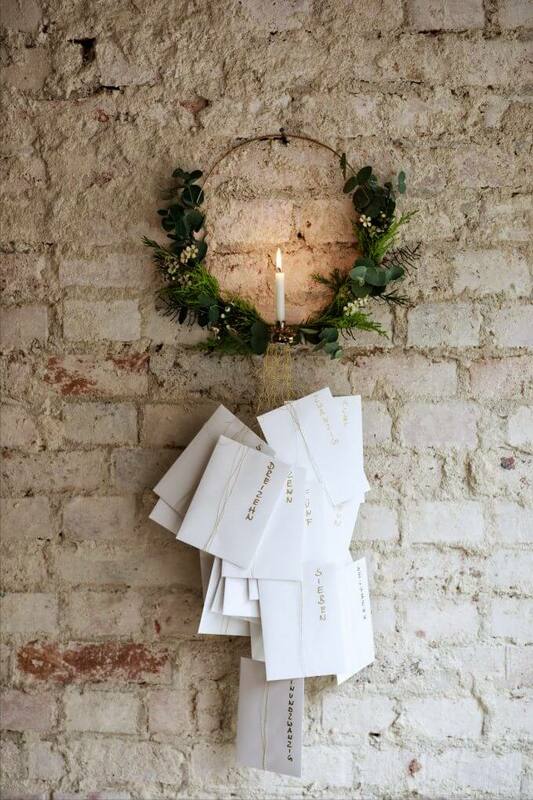 Just click here and you will get to the fairy lights Christmas calendar. Caro from the blog Madmoisell is the personified unicorn queen and accordingly you’ll find this creative Christmas calendar on her blog, which enchants with a hint of unicorn dust. 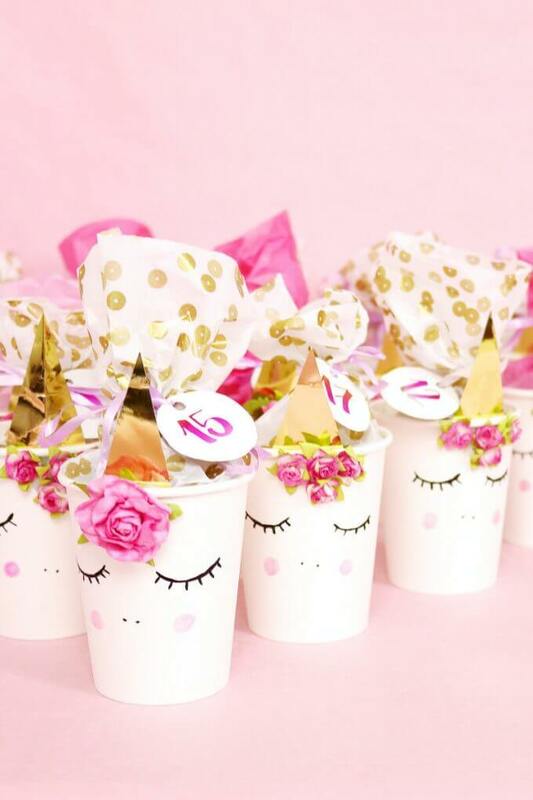 With the help of paper cups, paper and decoration flowers, you can also make it yourself. You can find the full blog post here. Emma Block, an illustrator who has been working with us for a long time, illustrated 24 looks from 3 years of sisterMAG. Printed on small boxes it becomes a fashionable Christmas calendar. To download the boxes and illustrations just click here. A little peculiarity: for every outfit you also find the free pattern for download. 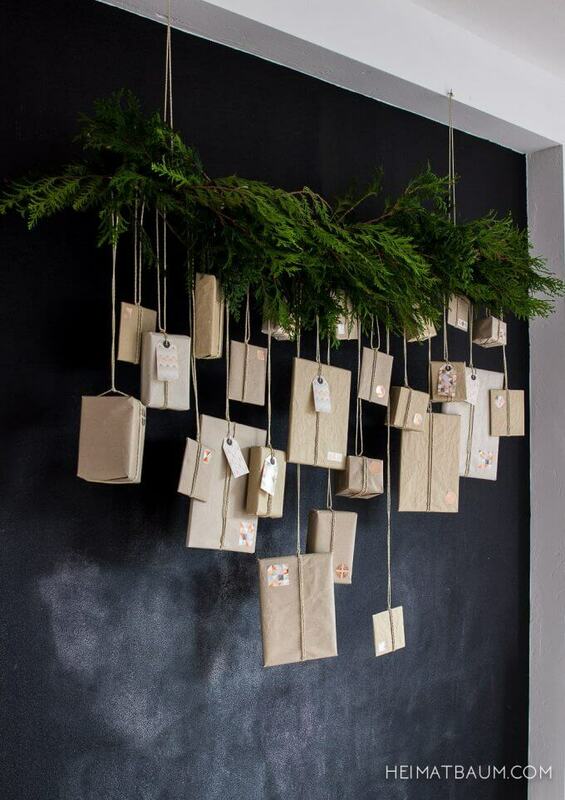 Pepper from the blog Heimatbaum created a Christmas calendar from a mix of Christmas green branches and 24 beautifully wrapped gifts. Due to the special hanging, this calendar works out wonderfully and is still restrained. You can discover even more on Pepper’s blog post.